If you’re in the market for a high-quality mower it can be difficult to know where to start. After all, there are countless brands to choose from. 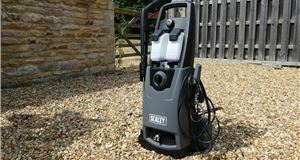 Here are ten of the best petrol, corded and rechargeable mowers around. Buying a decent petrol lawnmower need not break the bank, as this affordable Yard Force offering demonstrates. 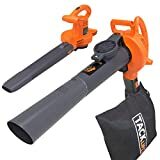 It’s best suited to smaller lawns, as it’s a push mower and only has a 41cm cut, but it’s comparatively light and easy to manoeuvre as a result. It also has a durable steel deck, a 45-litre grass bag and a Briggs & Stratton engine. Register online and you’ll benefit from a two-year warranty, too. A larger self-propelled version is also available. 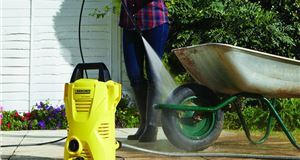 This mains-powered Bosch AdvancedRotak 650 is a good option if you have a smaller garden or if you want minimum fuss – as you don’t have to deal with charging batteries or starting an engine. The AdvancedRotak also has a powerful 1700W motor, a maximum cutting height of 80mm and a comparatively wide 41cm cutting width. You also get a three-year warranty if you register online. Remember to buy an extension lead, though, as it only comes with a 10-meter cord. Looking for excellent value for money? This Hyundai offering could be just the ticket, as it crams lots of features into a sensibly priced mower. 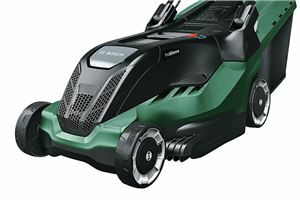 Besides a substantial 51cm cutting width, it packs an electric start, a mulching or side discharge mode and a 70-litre grass bag. It even has two cup holders and a hose attachment to clean the deck. It doesn’t compromise on the warranty front, either, coming with three years’ cover as standard. 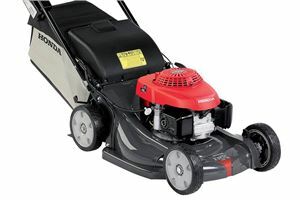 Honda doesn’t just make expensive, complicated mowers – it makes affordable, straightforward ones as well. This HRG 466, which is from the brand’s ‘IZY’ range, is one such mower. 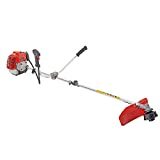 It offers a 46cm cutting width, a steel deck, a 55-litre grass bag and a maximum cutting height of 74mm; consequently, it’s ideal for mid-sized lawns and above. It isn’t cheap but it will stand the test of time and, if serviced annually, it benefits from a five-year warranty. Smaller models are also available. Rechargeable electric mowers are quiet and easy to use, making them the preferential choice for many. You need not compromise on capability, though, by opting for electric power. Case in point: this self-propelled Mountfield S46 has a wide 46cm cut, a strong steel deck and a maximum cutting height of 80mm. Its 80-volt 5.0Ah battery is claimed to give it an hour’s runtime, too, and it only takes 75 minutes to charge. A two-year warranty is standard. 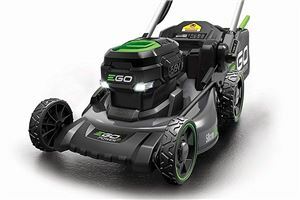 Ego is a relatively new brand but it has already established itself a reputation for building impressive electric garden tools. 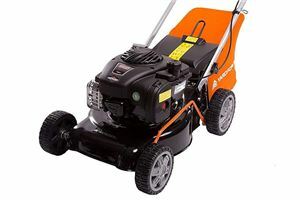 This rechargeable self-propelled Power+ series mower is designed to rival large petrol-powered equivalents; it has a steel deck, a 50cm cut, a powerful brushless motor, the option of mulching or side discharge modes and a 60-litre grass bag. Recharging is claimed to take 30 minutes and one battery can reputedly last 35 minutes. A five-year warranty is standard, while the battery is covered for three years. Looking for that premium striped finish? 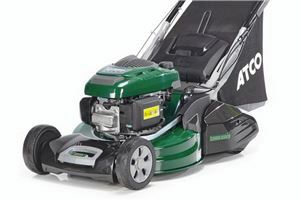 Then you’ll need a high-quality roller mower, such as this Atco Liner 22SH V. The company has a long history of producing high-end lawnmowers and the Liner is another fine example; it has a 53cm cutting width, a powerful Honda engine, a large steel roller and an 80-litre grass bag. A five-year warranty is standard. 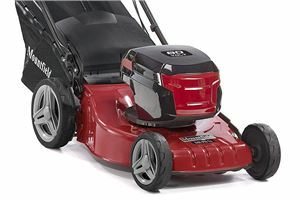 The company also makes top-notch cylinder mowers, if you want an even finer finish. The HRX 537 is a top-notch mower that’s ideal for those with larger lawns; it has a 53cm cut, electric start, a large 88-litre grass bag, a mulching mode, variable speed control and a maximum cutting height of 101mm. 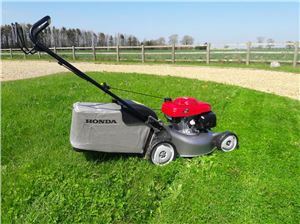 It’s also well designed and durable, like all of Honda’s garden products – and this variant benefits further from a seven-year warranty. It’s not cheap but, as the old adage goes, you get what you pay for. It is heavy, mind, clocking in at 45kg. 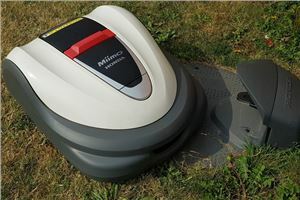 If you’d rather let a machine take the strain then you could consider a robotic lawnmower such as this Miimo. The HRM300 is the ‘Junior’ version, which can maintain an area of up to 1500m² by itself. 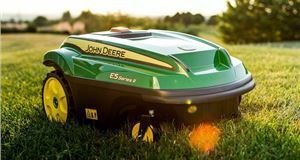 It can also mow for up to 40 minutes on a single charge, tackle relatively steep slopes without trouble and it’s waterproof. 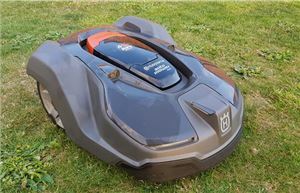 Larger versions, which rival the Husqvarna Automower 450X, are also available. All Honda robot mowers, in any case, come with a two-year warranty. 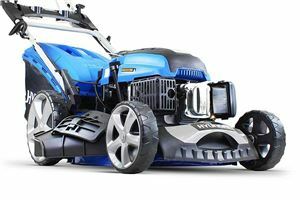 If you like gadgets then you’ll love this flagship robotic mower from Husqvarna. It’s packed with tech to help keep your lawn looking its best, including GPS navigation. Husqvarna says that the 450X can maintain an area up to 5000m² and that it can also run for up to 270 minutes on just one 60-minute charge. 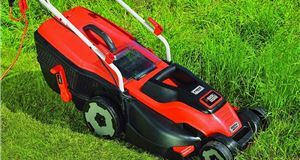 It is expensive at £3800, but ultimately it doesn’t cost much more than a ride-on mower suitable for cutting such a large lawn.